Chassis specialist InWin had a presence at CES 2019 headlined by a trio of PC cases. 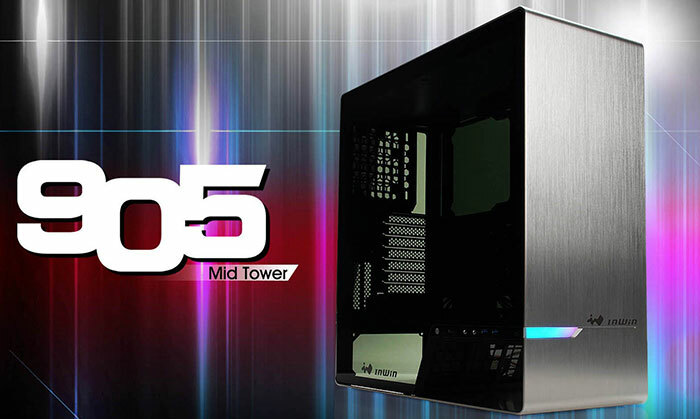 The firm recently branched out into PSU, cooling and accessory products but any such developments were cast into shade by its chassis lineup, particularly the very large new InWin 928 Super Tower. In his presentation to HEXUS, InWin exec Johnny Gomez started the ball rolling by introducing the brushed (2mm) aluminium, (5mm) tempered glass windowed, cleanly designed, InWin 928 Super Tower. Gomez teased that the new chassis has been designed for an as-yet-unannounced 14-inch square form factor motherboard from Intel. The model on show utilised an Asus ROG Dominus Extreme motherboard supporting the new "ultra-extreme platform". Some other interesting details of the InWin 928 Super Tower are that it can pack 2x ATX PSUs (up to 250mm long) to cope with potentially strenuous power demands. Cooling is catered for by side panel airflow sections, plus 12x fan mounts, plus a couple of radiator mount points for liquid cooling. Inside the chassis users will have room for multiple GPUs, and can choose to mount GPUs vertically or horizontally (option does not apply to multiple GPUs). Maximum compatibility figures are as follows; graphics card - 480mm long and 190mm wide, CPU cooler - 185mm tall. There are various HDD and SSD mounting options for up to 2x 3.5-inch drives, and up to 6x 2.5-inch drives. Overall the chassis measures 668mm tall x 582mm deep x 377mm wide. Yes, of course it has RGB LED lighting. 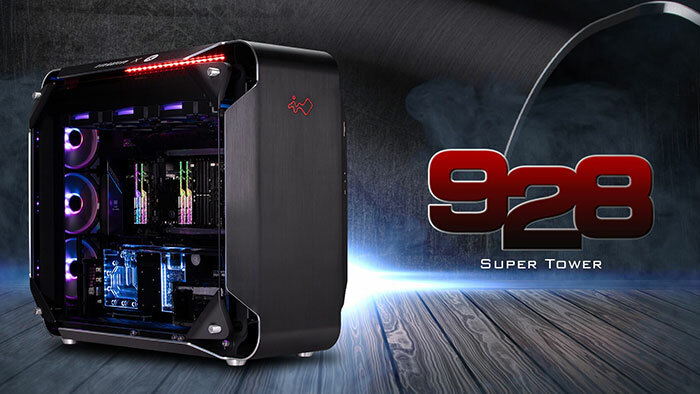 The new InWin 928 Super Tower is pencilled in for a Q2 launch with a price of $899. Also at CES 2019, InWin introduced the new 905 gaming chassis (pictured above). It says the new model supports "more water-cooling options and longer power supplies" than the 904, its predecessor. Elsewhere InWin has introduced a one-button access side panel plus RGB lighting synchronisation features. Last but not least, InWin rolled out its Z-Tower, Limited Edition Signature chassis to the exhibition floor again, which we have featured previously in HEXUS news. When you need to design a new form factor, bigger cases, water cool the VRMs and install two power supplies just to run a 28 core CPU you're probably doing something wrong. did he just say Price: 899?!?!?!? would get 7 mid-tower cases with this price and glue them together which will result in 4 times the size of this case! The 905 has my attention. Been looking for a case with all the front panel stuff on the side like that. Generational motherboard socket replacements got so boring, this is 2019, now we have generational case support.